On Magnolia Lane is a touching story where the nice guy gets the girl. Pastor Jack is an everyday hero, working himself to the bone to serve his community and his congregation. He is confident on the church stage with his bible in hand but put him in front of a pretty girl named Daisy and his awkwardness takes over. Daisy works with her family at Copper Creek’s florist. Her guilt complex and inability to accept a compliment led her to the counseling chair in Pastor Jack’s office. She never considered that the man across the desk could ever be more than an ear to bend. When she faces a betrayal from a loved one, she turns to the man she’s been talking to on a dating app. The advice he gives is kind and compassionate…almost pastorly. I love the hidden identity trope Ms. Hunter uses in this novel. In addition to the complex relationships and the hilarious side characters, this book not only entertains but will have you rooting for a happily ever after like never before! It is the perfect ending to the lovely Blue Ridge Sunrise series—one that left me with happy tears and a heart full of joy. I received a complimentary copy but was not required to provide a positive review. All opinions are my own. 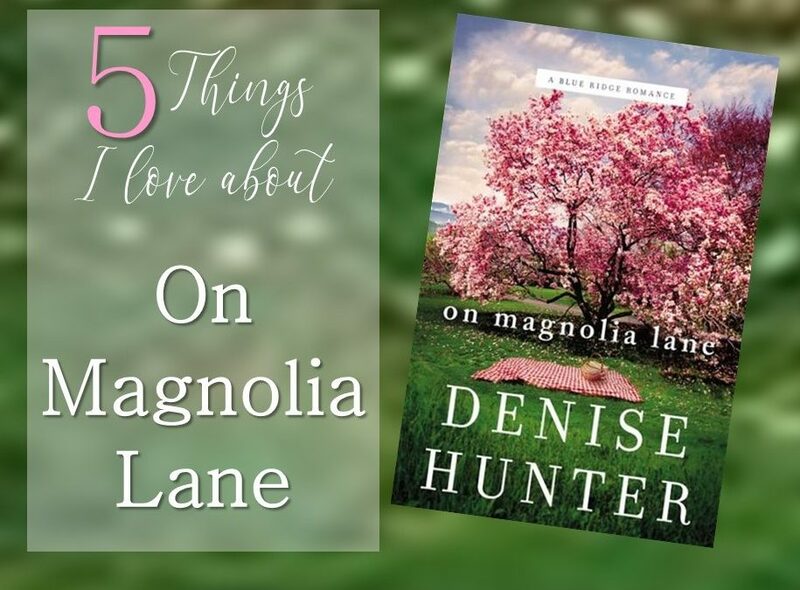 Watch my video 5 Things I Love About Magnolia Lane for more!